Each leg can be individually adjusted to varying heights. This enables Octopod to rest securely even on the most uneven of surfaces, just like a real octopus. 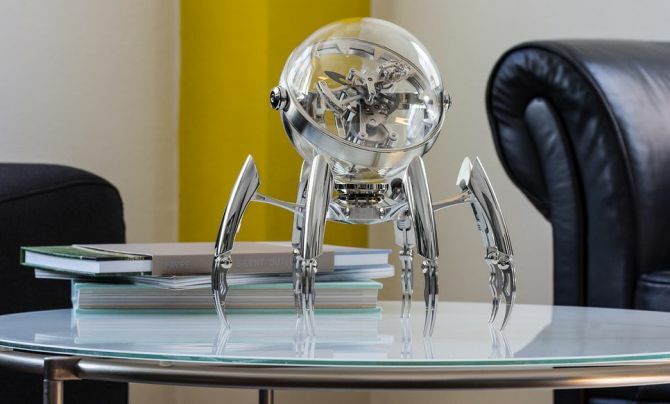 However, the real horological mystery lies in Octopod‘s completely transparent spherical ‘head’. It is gimballed in a similar way as a traditional ship chronometers were contrived on one axis so that they remained flat despite the pitching and rolling of the ship. Within the Octopod’s case, the gimbal ensures easy rotation of the bubble no matter what angle or height it sits. This way the time display inside is at the ideal plane for maximum legibility. 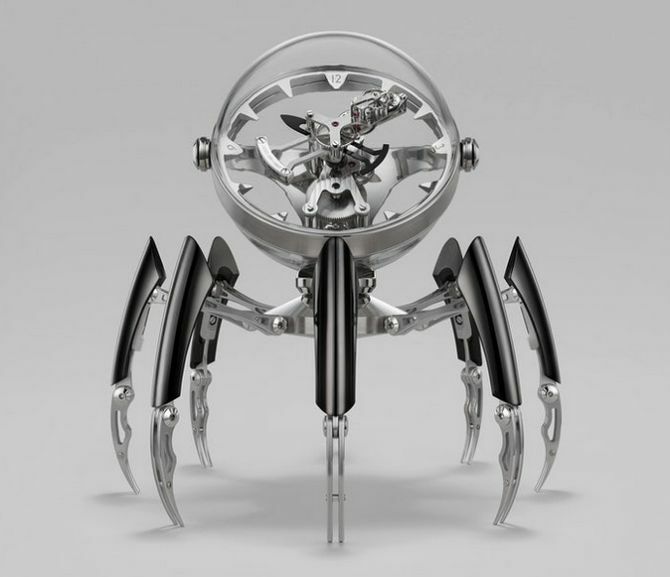 It also includes an attentive eye that keeps a tab on Octopod’s pulsating escapement, which ensures the clock‘s precision. The eye is located on its minute hand rather than the more usual position attached to stationary movement plates. 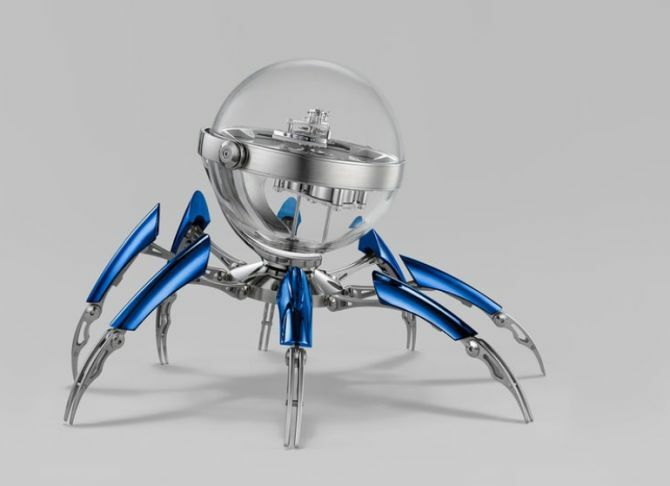 The mystery is also in how the Octopod’s clockwork is suspended inside its crystalline sphere – as it appears to be floating in space (or water). 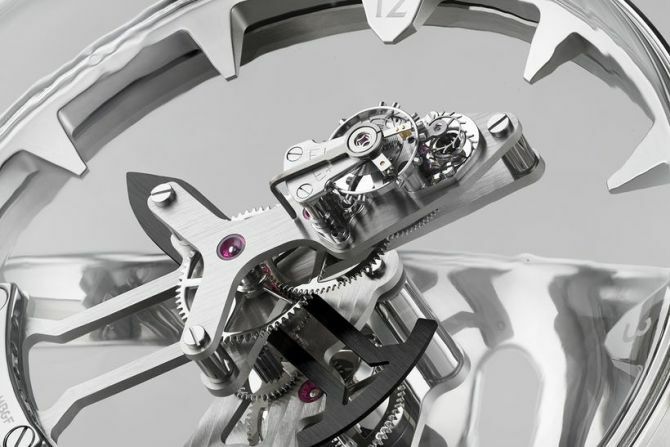 The base plate of the movement consists of a transparent glass plate that has been treated with a film of anti-reflective coating on both sides to make it appear virtually invisible. Just like an octopus conceals itself with camouflage, Octopod is also able to conceal parts of itself with visual tricks of its own. 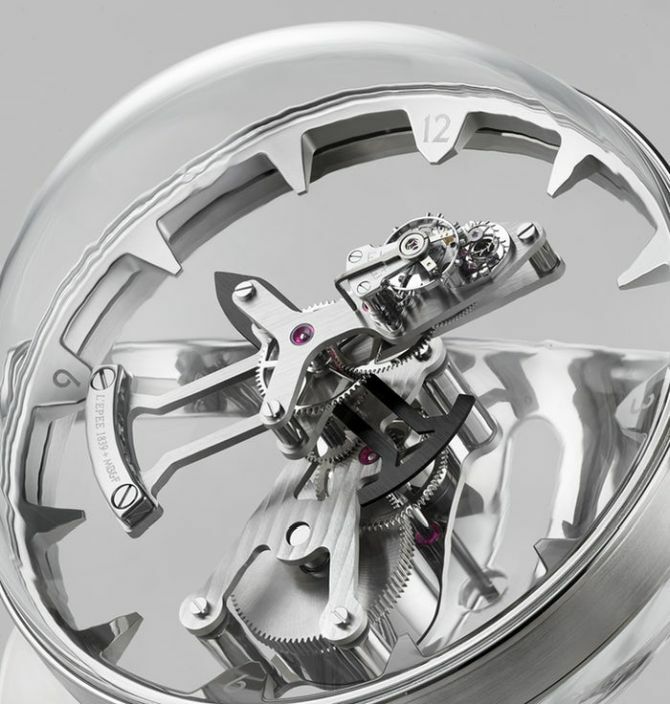 Besides all that, Octopod’s eight-day movement is a completely exclusive development by L’Epée 1839, along with both the glass base plate and counterbalanced regulator posing particular challenges. 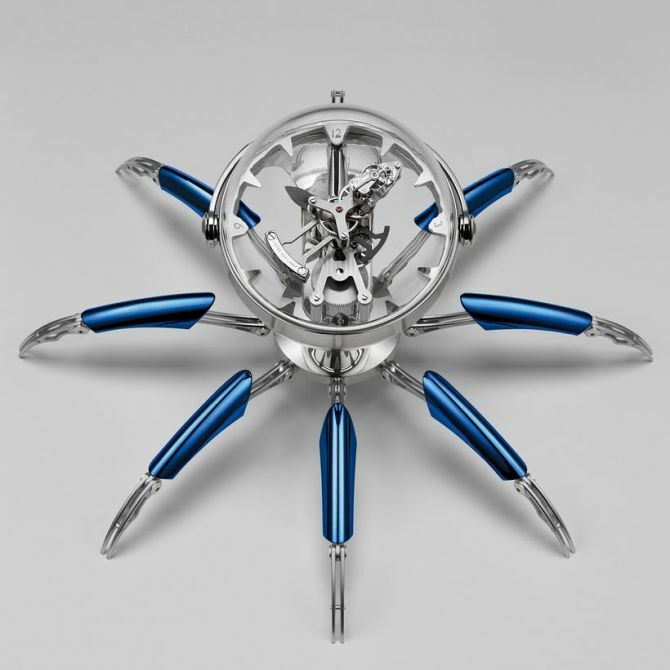 Octopod Clock is available in only three limited editions of 50 pieces each in black, blue, and palladium for CHF 35,000 ( approx. USD $36,446.95). Check out the given video to know more about its design and mechanics.